IT experts, disturbed by the rise in technology-related bullying and criminality targeting children online, including the tragedy of suicide, have teamed up in a personal crusade to help build awareness amongst young children aged 4–11 about online safety. Fathers and IT security professionals, Dave Stanley and Sandrijn Stead have released Eddie the Elephant, the second in a series of not-for-profit books featuring vibrant animal characters to help simplify and engage young readers to help them understand the risks posed by strangers and the permanence of online content. 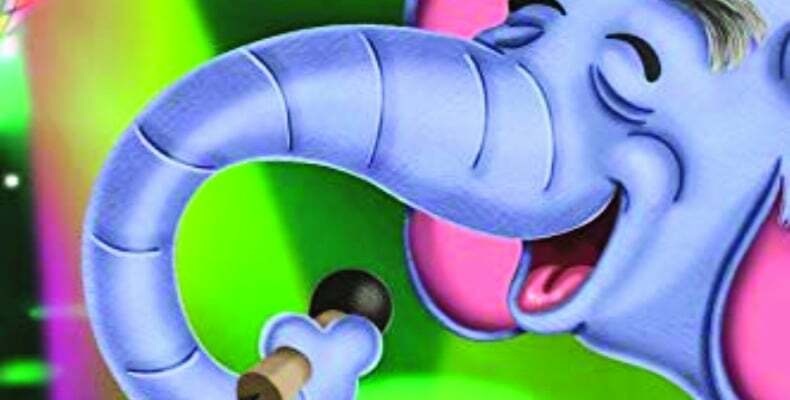 Eddie the Elephant is the second book following the launch of Charlie the Chameleon earlier this year tackling the problems of online grooming. The two IT professionals have plans to publish a further six books under the Simply Serious Stories brand, focusing on different messages relating to online safety. Their campaign began after the co-authors’ market research found that most publications take a complex, technically focused approach to online safety and target parents rather than children. Stanley and Stead’s years in the IT industry equip them with a deep understanding of the ever-accelerating dangers of the internet and connected devices. Simply Serious Stories tackle this common sentiment by breaking different scenarios down into simple messages using relevant and engaging analogies. Each edition is supported with teaching collateral to help parents and teachers convey the online security message in the classroom and during storytime. Research by security company McAfee recently discovered an increase in the time children spend online unsupervised. Over a quarter of parents (27%) never monitor what their children are doing online and one in ten (10%) have no idea if their children speak to strangers at all. It was recently reported that children start to use the internet as young as 18 months old and many parents are themselves unaware of the dangers posed by uncontrolled access. Sandrijn Stead, father and author, said: “I have heard from families touched by these awful and terrible situations that no one can ever be prepared for, and that was what prompted Dave and I to take action. Dave Stanley, father and co-author, added: “In the same way that Aesop’s fables have helped convey serious messages to generations of young children, we wanted to use a similar story-based approach to help educate children about cyber security dangers. Both Charlie the Chameleon and Eddie the Elephant are available on Amazon as both e-book and paperback editions.